One of the trickier jobs for a bookkeeper or business owner to master is effective debt collecting. 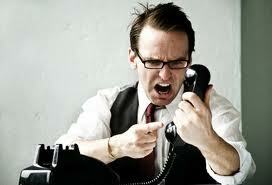 If you’re not assertive or outgoing, then phoning up people and demanding payment can be quite a daunting task. Here are five quick ways to be more confident and effective at chasing debts. If you haven’t got this far, this is definitely the place to start. Before you start to chase money you need to draw up a clear set of rules that your customers are expected to follow. Your credit policy should include trading terms you offer your customers, how often you send statements, and at what point the debt gets passed to a debt collecting agency. Your credit policy should then be included as part of your contract or credit application that all customers need to sign and agree on. Dun & Bradstreet are specialised in debt collection with over 160 years of operation published the following statistics. – 6.2 per cent of debts that are one month overdue never pay. – 26.4 per cent of debts that are three month overdue never pay. – 42.2 per cent of debts that are six month overdue never pay. The statistics tell the story; the longer a debt is outstanding then less likely it will be paid. So don’t waste time being soft or nice, get chasing those debts! Phone calls are far more effective than sending reminder letters. Your initial phone call should be polite, aiming to build http://buylevitra.net/levitra-multifaceted-action-perspectives-application/ rapport with the business owner or account manager. Being polite doesn’t mean you can’t be straight to the point though. Ask if the payment will be sent immediately, if the answer is ‘no’ ask why not; don’t interrupt their response. If they are genuinely having a tough month, don’t just let them ‘pay you when they can’ offer a solution. For example, say something like, ‘how about you pay half this week and the remainder in 14 days’. If they say that they have lost the invoice, email them a copy within the hour and phone them back to confirm they have received it. If there is some kind of delay in the system, ask them to look into it today and let them know that you will be calling them tomorrow to find out the details. These techniques will keep the person you are dealing with accountable in what they say they will do. Try to have your debtor commit to paying you by certain time frame. As soon as the phone call is over, email them thanking them for the commitment they made and confirming the agreement in writing. This documents the agreement and if there are issues down the track you have everything that was agreed to in writing and so do they. If you need help reining in your outstanding debts and improving the management of your accounts receivable please contact us today and find out how we can help.